Bloggy Birthday Bash Giveaway #10: Flip Slide HD Camcorder! Although I’m sad to see this year’s Bloggy Birthday Bash come to a close, I’m thrilled to have the opportunity to give one very lucky “Deal”ectible Mommies reader a Flip Slide HD Camcorder! The Flip SlideHD is an all new Flip, with an all new form factor, designed to make it even more fun to capture, watch and share High-definition videos anytime, anywhere! The Flip SlideHD is the first Flip Video camera that lets consumers shoot up to four hours of HD video or store up to 12 hours of videos, photos, and content from Flip channels™. SlideHD is also the first Flip to enable real-time video sharing on a stunning 3-inch widescreen with a unique slide-up design. SlideHD’s simple touch screen and innovative slide strip make it easy and fun to quickly navigate through your library to locate a video or photo. – Holds up to 4 hours of HD-quality video on 16GB of built-in memory or up to 12 hours of video in Space Saver format using the included FlipShare software. – Slides out to share your favorite viewos instantly. – Plugs directly into your computer to launch built-in FlipShare software. – Lets you save and organize your videos, edit individual clips, make custom movies, e-mail your videos, and upload them directly to YouTube, MySpace and AOL Video. – Share videos privately using FlipShare’s attachment-free email or by creating Flip Channels. – Mini HDMI output for simple connection to your HDTV using an HDMI cable (not included). – Plug in headphones to enjoy your videos in any setting (headphones not included). – Charges via USB 2.0 connection or optional Flip power adapter (not included). – Captures HD 720p H.264 video at 1280 x 720 at 30 frames per second (16:9 widescreen) in MP4 format for video you’ll be able to enjoy on your HDTV. – Compatible with Windows Media Player, QuickTime and iTunes. – Ultra-low light sensitivity with automatic low-light detection along with automatic white balance and black level calibration for capturing footage in a variety of lighting conditions. Want to email a video to grandma and grandpa? No problem! Like all Flip models, the SlideHD is pre-loaded with the proprietary FlipShare software that allows consumers to easily organize, create and share their videos. Using a PC or Mac, Flip video content can be instantly uploaded, both privately and publicly, and is instantly ready for one-click sharing. From social media sites such as Facebook, MySpace and YouTube, to email, mobile devices, Flip Channels, and the TV, FlipShare is the easiest solution for consumers who want to share their videos. The unique nature of the Flip SlideHD is that it allows users to use touch screen technology to record and navigate through the on screen menus. There is also a manual control (not on the screen) that is that allows you to navigate through the menu with touch. I love this feature! When you visit the Flip Video website, you’ll have the opportunity to choose from thousands of designs from artists, leading design firms, celebrities, and iconic brands, or easily upload your own image to create a one-of-a-kind camcorder. How cool is that? We have been using the Flip Slide HD for a few weeks now and I think it’s nearly impossible to beat how user friendly this unit is. Simply turn it on, press one button and your instantly recording! The amazing feature of the Flip SlideHD is that once your done shooting your video, you can simply flip up the 3-inch widescreen and share your video instantly! We found this feature to be rather lovely when it came time to entertain the kids for a few moments! The touch screen was a little less impressive and although it worked ok to navigate through the menu’s, at times I found that we had to press rather hard or multiple times for it to respond. However, I will say that the touch screen record button worked fabulous! There is a bar located under the flip up screen that you can also use to navigate through the menus, rather than using the touch screen, and I find myself using that more often. The quality of the videos are truly amazing and I have a tendency to reach for this camcorder first because of it’s ease of use. I also love the convenience that Flip camcorders offer. I can grab it, throw it in my person and be on my way. I don’t have to worry about loading my camcorder into a bag and toting along with us when we head out for vacation or a school play. Overall, we absolutely LOVE the Flip Slide HD and we think you will too! SlideHD retails for $279.99 and can be purchased at major retailers, online retailers and at the Flip store. 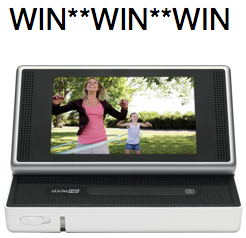 One Lucky “Deal”ectible Mommies reader will WIN a Flip SlideHD Camcorder! Simply visit Flip online and tell me a feature you love about Flip OR what design you would choose if you had the opportunity to decorate your own Flip! The Boring Stuff: Giveaway will end on September 11th at midnight! Winner will be chosen at random. Disclaimer: I was provided with a Flip SlideHD to facilitate my review. My thoughts and opinions remain my own! Win 1,250 Box Tops For Education Coupons! I love how small it is and yet it doesn’t compromise video quality and storage! I would choose the Retro Green Blue…or maybe a cute pic of my boys! Love the flip up screen for better viewing! I would chose the beach ball design if I could design my own. I’m a fan of yours on facebook! I subscribe to your e-mails. I would put a picture of my daughter with her soon to arrive baby brother!! I would choose the one called BYE BYE! I love that the flip has the usb port on it! I hate having to find cables around the house! I love how small and convenient the Flip is! If I could design my own I think I would use a picture from nature. Subscribed via email for news! I love how you can design your own! I would put one of my favorite pictures on it for sure! I am already a fan on Facebook. I already follow on twitter and tweeted. Floral Paisley best. I’ve been all about pink lately. I am a facebook fan of you. I’m a dedicated fan on Facebook!! I like Flip Video on Facebook! I follow Flip Video on Twitter!! Thanks for a wonderful opportunity!! I like that I can store my videos and photos on it to share with family members who do not have computers. i love love love that it flips to a widescreen! I love this camera! I especially love the 3″ screen and the fact that I can design my own and put my new grandbaby’s picture on it. Keeping my fingers crossed! I like the different options Flip gives you for sharing your videos via email or FB. I have your bloggy birthday bash button on my blog! I am a fan of flip on fb! Am a FB fan! love it! I love Flips! They are so simple to use and the I love that you can design your own now! So cool! I’m a facebook fan! Love the touch screen feature! I subscribe to your e.mails! Love the easy upload feature! I love the way the screen opens and that is so big! I love the fact that is is simple and compact. Lots of designs to choose from….but I like Pix E Dust! I am a Dealectible Mommies Facebook Fan! I subscribe to Dealectible Mommies daily emails!! i love the small size of the flip – makes it very easy to carry around. if i could design my own i’d either use one of my own pictures or use their pattern generator and do the butterfly pattern in either pinks or reds. I like that it records up to 4 hours in stunning HD. I’m a Fan of “Deal”ectible Mommies on Facebook. I love how the Flip Slide holds up to 12 hours of videos!! And I love all the positive reviews on the website! I’d love to have one in damask. Thanks! I’m a Facebook follower/friend/liker – Kitty Cartouche. Thank you! I’m a follower on Twitter as @antispamgirl. Thank you! I’m a follower on Twitter, @antispamgirl, and I tweeted: http://twitter.com/antispamgirl/statuses/22383480318 . Thank you! Subscribe through email. Thank you! I added your Bloggy Birthday Bash button to my site – http://www.cancontests.com . Thank you! I’m a Flip Facebook follower/friend/liker – Kitty Cartouche. Thank you! I’m a Flip follower on Twitter as @antispamgirl. Thank you! I love the Flip, asked my hubby for one for my Bday! I love the 4 hour shoot time and keeps up to 12 hours of video. I love that it has 4 hours worth of shooting and the ease of sending to others! I would love to design my own, with a picture of our little angel. I love that you can design your own. I think the Breakthrough Sunshine is an awesome design! Fan of Dealectible Mommies on FB. I love the 3″ touch screen ~ I haven’t seen anything like it! I Fan “Deal”ectible Mommies on Facebook. I Fan Flip on Facebook. I follow Flip on Twitter. My first pick will the design with your own photo, next pick will be that cute “Isa” turtle design. Love the 4hr recording time & 16GB memory. It will be a great feature to use in travel, besides capturing cute clips for my baby. Jennifer´s last blog post ..Winner!! I love that you can share videos privately! I’m a facebook fan of urs! fan of Flip on facebook! I would love to have the Waterway design on a Flip! Love that a portion is donated to charity for every 7 camcorders sold. I love how it has a touch screen! I love that you can plug the entire Flip into your computer via USB without having to worry about any wires. I also would choose Vela2 by Beth Weintraub as a design. I love that it is so easy to use for those who aren’t really tech saavy! Subscribed to both feed and email! I wouls choose the Classroom Fun by Madison design. Too cute! I love the long 4hr recording time and I would love to do a pink and black damask flip camcorder. fb fan of yours. amy bolda pugmire. fb fan of flip. amy bolda pugmire. I follow flip on twitter. 1amypugmire. Dana´s last blog post ..The Workbox Giveaway! OOOH MY FINGERS ARE WAY CROSSED!!! I would love to have one with a picture of my son on it! Mary Williams´s last blog post ..Friday Favorites!!! I’m a fan of Dealectable mommies on facebook! I would film my new baby boy!! Thanks! I love how small it is! I like the Popular and Good one! I would choose to upload my own photo…so neat! Fan of FLIP on FB! Flip Studio bright Streamers is nice! I am a fan, and we love your blog. I like Beach Ball by The Flip Studio. With FlipShare we would be able to send video of the grandkids to their grandparents in Florida. I would pick the chrome one. hancoci_s at msn dot com I would choose the Peacefilled by morgan design! i follow flip on twitter! I would love to have the Waterway design on a Flip! And the best feature I would day would be the fact that it holds up to 4 hours of HD-quality video on 16GB of built-in memory or up to 12 hours of video in Space Saver format using the included FlipShare software. the orange sunflower design is so cute….this would be great to win, i have been using my camera for recording. I love that it holds 12 hours of video! I am a fan of “Deal”ectible mommies on FB! One feature of the Flip SlideHD that I love is the internal rechargeable battery. I hate having to buy batteries all the time. Thanks! I’m a facebook fan of “Deal”ectible Mommies. I like Flip Video on facebook. I love the built in USB port! I love how slim it is and easy to use. Fan “Deal”ectible Mommies on Facebook Nancy P.
Love the slide function to watch the videos and photos and that it’s small to put in my purse! I follow on FB – I love that the kids can watch it right away – and it seems user friendly which I would need, lol!! I would upload a picture of my sons to go on a Flip! I like the 3″ touch screen! Thanks for the chance. I like that one can watch up to 12 hours of video in widescreen. If I could design my own Flip I would either upload my own photo of my two kids or use the baseball design. So cool! Extra Entry #1: I’m a fan of “Deal”ectible Mommies on Facebook. Extra Entry#2: I subscribe to your emails. Extra Entry #3: I “liked” Flip on Facebook. I like the Growing Flowers design. I like your blog on Facebook. I like Flip on Facebook. I love that its designable and your camera says “you”. Love how easy it is to use !! If I had the opportunity to decorate my own Flip, I would pick the Love Clouds design. Following “Deal”ectible Mommies on Twitter and Tweeted the giveaway. I like the 3″ touch screen. I like the Flipshare software. I would LOVE to use my own image, how fun would that be? Thanks for the opportunity! I subscribe to your email updates. Thanks! The feature i like is the size of the screen it is an excellent size for viewing your footage. I also like that you can design your own. This feature would take me some time thinking on. I would upload one of my own photos. I would choose the Floral Paisley design. I subscribed via Google Reader. I like the touch screen and it’s easy to use so my daughter can use it. I’m following Flip on Twitter. I like the full widescreen. That would make it easier to view back what you’ve recorded. I love that you can make it your own by designing it!! I like the TRF design, love turtles! I follow and I tweeted about this giveaway today. I like that it has 4hrs of recording time and 16GB of internal memory. Thanks for the chance! I like the floral paisley design. I like that it has a 3 inch touch screen and recording is 4 hours. By Domek — so cool! I would decorate mine with the Hello Kitty Graffiti in black. Love how easy it is to download and take video! I think I would choose the Try Angles design! I would choose “Teacher’s Pet”. I like the Breakthrough Sunrise design, thanks! Oh awesome! I love the graffiti design and the fact that this films in HD! I RSS subscribe via Yahoo reader. I love the love conquers all design… thanks for the opportunity! I like that it’s so easy to use!! I love the built in USB and that it films in HD. The graphitti design is pretty cool too. I would choose the Beach Ball design. Thanks for the giveaway! I would probably choose a custom design my own image with my yorkies picture on it because I know her picture would keep my smiling while recording. I would choose the Dark Leather Stitch design – so cool! I just love the sunrise design! THis would be amazing to have! Katrina´s last blog post ..I am a LIBRARIAN!!!!!!! I would like the Ultra™ 2 Hours in black. I would decorate it with “Beach Bash”. The ability to watch up to 12 hours of video. I like the Breakthrough Henna design. I love the Floral Paisley!! I love the Caia Koopman Love girl design and would love to win a Flip! There are so many great looks, I think I would decorate it with the Sunrise. If I won, I would love to get the “use your own image” one and put a photo of my dog on it! This is so cool- the only thing I would add is gps. I like the love me design by Madison thanks! i like the Which Witch design. It has the witch from Wicked on it. Very nice looking. COOL! I love that you can play back the video right on the unit! AWESOME!!! Fan of “Deal”ectible Mommies on Facebook. I like the design Cloud Retro Party for the Flip Slide. does the fact it can be customized count as a feature? i love personalized things! I think the Midsummer Night’s Dream design is so pretty! Blue is my fav color so i sorted by color and that one immediately caught my eye! Would love the “Teacher’s Pet” design. Holy cow. Is there any feature I DON’T love about this? If I had to choose, I would say… the way the USB thing is attached. I always lose cables, and that would make life so much easier. I put your button on my sidebar! I love that you can watch up to 12 hours of video in widescreen. I would definitely put one of my daughter’s dance pictures on if I got the chance to design one of my own! I love the fact that I can record for 4 hours – that’s the halftime show and the whole game. I’m your fan on facebook. Follow you on twitter and tweeted. I’m a fan of Flip on facebook. I VE that you can record for 4 hrs! My camera and camcorder broke so this would be absolutely WONDERFUL! If I had the opportunity to decorate my own Flip, I would definitely choose the Graffiti Love Hearts for Feeding America. Thanks! I am a Facebook fan of yours (Aimee Waerhouse). Thanks! I subscribe to your blog feed via email. Thanks! I am a Facebook fan of Flip (Aimee Waerhouse). Thanks! I am following Flip on Twitter (Nelsby). Thanks! I would pick the Floral Paisley design! I fanned “Deal”ectible Mommies on Facebook! I fanned Flip Video on Facebook! I love the fact there is no memory card. The old ones needed one so this is great! I would choose scorpio 2. thanks. facebook fan of dealectible mommies. as simple as this sounds, i am so glad its compatible with i tunes! I like that it records up to 4 hours in HD. If I could design my own I’d make it plaid. Blue and green plaid to be exact! I like the Lightshow designs. I’m following Flip on Twitter (@FunkyDung). I’ve subscribed to the Dealectible Mommies feed in Google Reader. I really like the 3 inch touch screen and up to four hrs of recording time. If I could design it, I’d choose the Year of the Tiger! i love the sugar pink design.. I like that it is designable!! I like “to the moon” and “graffiti love hearts” designs! Elizabeth Turner´s last blog post ..300th Post Bonanza- Etsy Interview &amp Giveaway!!! I would either customize it with my daughter’s picture or the Ladybug Limbo by Morgan design. I really love the 4 hour recording time and the 16GB memory, too, thanks! Night Owl mama´s last blog post ..WW- Road Rash Ouch! I like the convenient flip-out USB arm. I am fan of “Deal”ectible Mommies on Facebook. I love the touchscreen and easy access to record. Thanks for the entry. my fave feature is the size, love it ! If I was lucky enough to win, I would choose the Tulip design, or I would upload a picture of my own, like the light house picture my brother in law took of a light house up here. That would be so pretty!! Thank you for the wonderful giveaway! I like the touch screen capability. And, as the design goes, a choose able one, I’d like the Blue Lightshow or Carbon Fiber. I like that you can design your own and that’s such a cool feature. I love the compact size. I would choose the Deery Lou – Op Art Mod design. The Graffiti Love Hearts design is sweet! My favorite is the Good Times! design, so colorful! I love the Stars on Sunset Blvd design! I like the popsicles design! I am a fan of Flip on Facebook. I love the Globe design. I love the unique freeze frame capability to get the perfect shot feature of the Flip. I love the touch screen feature. I like that you can record up to 4 hours. All the features sound great and then I got dazzled by the potential designs. I’d love to have a camcorder with 20070302-021646 By Paradise2012. “Breakthrough Flower of the Night” design caught my eye! Subscribed to the blog RSS feed. I would get the Breakthrough Flower of the Night design. Thank you so much for the chance! I’m subscribed to your RSS feed via Google Reader. I like Flip on Facebook (username: Les Cerises). I’m a Flip twitter follower (@whitechocolatec). I like that you can record up to 4 hours. I had one of the early Flips and it only recorded an hour. I like the Blue Angel I design. Thank you! I like that it films in HD. My favorite feature is the touch screen-so uncomplicated! i like that it has a touch screen. so much easier! I am following Flip on twitter as ptowngirl. I really love the To the Moon design. I’d select the “Heart” Design customizer. I LIKE you on facebook. I’m victoria lester on fb. 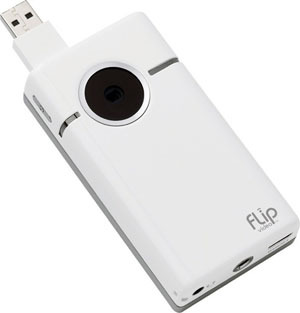 I love these flip camera’s – they’re perfect for storing in my bag and pulling it out in a moment’s notice. The designs that they have are great and I think the Popsicle design is adorable! I LIKE Flip on facebook. I’m victoria lester on fb. I liked the Peacefilled by Morgan Flip design. Thanks for the contest. I love that the Flip can fit in my purse and go with me everywhere! I am your fan on FB. I am a fan of Flip on FB. I love the size best- they can fit in a bag and go anywhere. The blue tie design is super cute too. So cool! I would love to get one with Taylors picture on it- or in purple and white if I couldnt! Eve´s last blog post ..So- some big news to share… Baby on Board! I like that it’s preloaded with the software you need. I like the pattern generator, and that I can accessorize with an underwater case! It’s the right size to throw in a purse! I like the Popsicle design best. Id like the Friends forever or would design one with my kids pic on the front! I LIKE Flip on Facebook! Maybe I’d get my blog button put on it! Or just a premade design like hello kitty retro red. Also, I’m a feed subscriber. I would get one with my blog logo on it. Thanks so much! Kasandria Reasoner´s last blog post ..Review- Designer Catbox BEST Litter Box Container! I have the Bloggy Birthday Bash button. I’d design mine with a picture of my family or maybe I’d put my blog design and logo on it! Blue Oasis is my favorite! I’d love to put a wedding pic on my camcorder! I follow as flbrian1466 at hotmail dot com. My favorite feature is that it is so easy to use and you can take a video, plug it in the USB of your computer and edit and upload to YouTube FAST! I would also get a photo of my kids on it. sorry…jumped the gun and duplicated a tweet today…on Central time here! Please feel free to delete! I would choose the Green Flourish design. Thank you for the chance to win. I liked the football design, so that’s what I would decorate mine with. I love the fact that you can upload one of your own images to design your flip. I am a fan of dealectible mommies on FB. I follow on Twitter, and I tweeted! I would choose the wired dolls pattern. I love the Purple Paisley design the best. Being able to record up to 4 hours means you can actually record an entire event, instead of trying to decide ahead of time when the most important elements are likely to occur. I love how convenient it is! I could keep it in my handbag and capture all that much more in our lives.